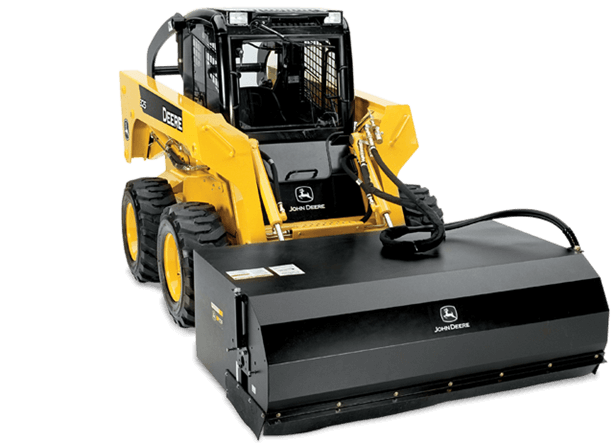 Like all Worksite ProT attachments, these pick-up brooms are optimized to work with John Deere Skid Steers and Compact Track Loaders, 244J Loader, and 110TLB. They're compatible with many competitive models, too. Brooms feature a 25-inch-diameter brush with 50/50 poly wire brush segments and a baffle to hold debris in bucket. The BP72 has 44 wafers.